The Live Implant Surgery Course in Cancun was an amazing learning experience, not only for the visiting doctors but also for our staff. There’s always something new to learn everyday and we do it with love! This was a very interesting event. The AAID and the Dental Implant Learning Center had usually only done 2 courses at our clinic per year, but 2016 has surprised us…. this last event was the third one of the year! This year, more than twice a dozen American dentists have improved their dental implant skills with the help of Doctor German Arzate, Doctor John Minichetti and Doctor Larry Nalitt (as well as Doctor Iyer Shankar himself on the previous course). 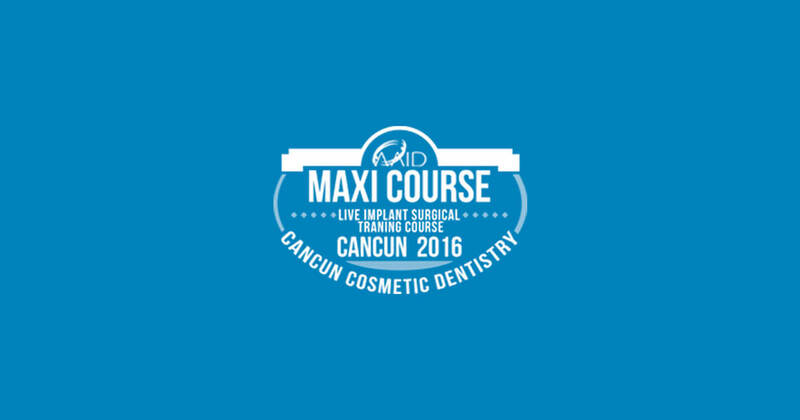 In this occasion, we took make videos with some of the participants of this live implant course in Cancun to talk about their impressions and what they learned. Doctor John Minichetti was the president of the American Academy of Implant Dentistry and is the current director of the Dental Implant Learning Center. He always remarks on our state of the art facilities and knowledgeable staff. He has said Cancun is really the most amazing place to host this course because is so beautiful, safe and the people are so kind everywhere he turns. More patients happy with our dental work! "Dia de Muertos" in Cancun and Riviera Maya! Problems with Bad Breath? (Halitosis) The Science of Flossing?